you discover on the internet each day. If you’re a Chrome lover, we created three extra goodies for you that will help you share to specific social networks. With the Shareaholic for Facebook Chrome extension, you can share exclusively to Facebook right from your Chrome browser. Use the Shareaholic Twitter Chrome extension to send Tweets of your favorite links to your followers. Are you pinning yet? Join social media’s latest trend and pin the most interesting photos you find on the internet with the Shareaholic Pinterest Chrome extension. Want to be able to share to Twitter, Facebook, Pinterest and more than 200 other social networks with one icon? The Shareaholic for Chrome extension is just the ticket. You can manage the networks you share by logging into Shareaholic and going to Accounts/Services. 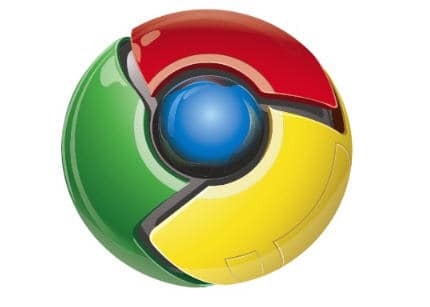 Chrome offers a myriad of settings and tricks worth exploring. In addition to extensions, there’s a “searchable” address bar and fun themes to make your internet surfing a true experience. What Chrome extension can you not live without? Let us know in the comments! Want to share to Twitter, Facebook, Pinterest and more all with one extension? Get Shareaholic for Chrome.